WOW! Where has the time gone? Thank you for a great school year! It has been a pleasure to serve you this past year at Yarmouth Elementary School and I am looking forward to another great year beginning in September. It has been an honor to work with you and your children. We have a building filled with some of the most caring, nurturing, and dedicated staff that I have had the priviledge to work with. The time, effort, and focus that all staff gives to our students is so impressive. We are lucky to have such a great community and school system! This final newsletter of 2017-18 is filled with a lot of important information as we wind down this year while also planning for 2018-19. Save the date for the 2018 Ice Cream Social! Join us on Wednesday, 6/6 from 6:00pm-7:30pm at Rowe School for this annual evening of ice cream, books, baskets and fun! Baskets are on display at YES and raffle tickets are still on sale in the main office. Don’t forget that incoming Kindergartners get a special time slot from 5:30pm-6:00pm to enjoy the event with a little less noise. Your Yarmouth K-8 PTO is looking for many volunteers to help make this event magical. Please sign up here - https://signup.com/client/invitation2/secure/2280991/false#/invitation if you’d like to get involved. Know any high schoolers that need community service hours?? This can count!! Send them our way! Thank you for your continued support! See you all on June 6th!! Tracy Weinrich and Merry Stuhr, Harrison Middle School Librarians, are organizing a school-sanctioned (non-political) Yarmouth March for the Ocean (YM4O) onJune 9th. The March will take place on Cousins Island (from Sandy Point Beach,walking on the sidewalk to Madeleine Point) to CELEBRATE and EDUCATE about our one precious ocean. In addition to the March, this family-friendly event will feature a few beach activities focused on plastics, some ocean experts, a beach clean-up (bring work gloves, if you have them), face painting and more. BLUE is the color of the day! You might also consider creating an ocean-themed costume (contest! ), a small float (that is on a pulled wagon), or some other type of display that shows a message about caring for our ocean. They are trying to make this as plastic-free as possible, so please consider bringing your own reusable water bottle. Water and compostable cups will be on hand. Please note that the distance of the March is 1.5 miles from Sandy Point Beach to Madeleine Point. Keep in mind it's the same distance back, so you may want to consider that when deciding where to park. Parking (somewhat limited) is available at both Sandy Point Beach and along Madeleine Point Road. Consider earth-friendly ways to join us for YM4O. Carpooling is strongly encouraged. Please help spread the word to students, friends and family! Students who are 13 years and older may sign up on the web site. You can sign up through the website: https://www.yarmouthmarchfortheocean.org/ (the link is also on the HMS Library web page). Students in 4th grade or below will need to have an adult with them, and the adult will need to complete the RSVP form. Show that you care about the ocean and join on June 9th. The ocean - OUR ocean - is important to our community and our world! On Monday, June 18th, we will have our first "YES Step Up Day". From 9:10- 9:40 a.m. students entering grades 2, 3 and 4 in 2018-19 will spend time with their future teacher and classmates. On that day they will go home with information for families on their classroom placement for next year. Current 4th graders will spend that time with the SHARE Team as their step up experience will be held prior to this day at Harrison Middle School on June 11th. Our incoming 2nd graders will spend some time with us prior to step up day. On June 6th they will visit the school to meet staff and tour the building as part of the transition process. Our last day of school is Tuesday, June 19th. Classes will be dismissed at 12:00 p.m. Report cards will be distributed during classroom learning celebrations. Bagged lunches will be available for students. Students who are moving out of Yarmouth will be provided with a fun activity during the step up time. If you know that you will be moving out of the Yarmouth School District and your child will not be attending YES during the 2018-2019 school year, please stop by the office or give us a call to share your plans so we can support their transition to a new school. We are please to share that YEF recently awarded two grants to the YES community! The "Look Closely!" grant will make binoculars available to third grade students to help them develop empathy and curiosity for our world and our environment. This project is innovative as it allows students to dive deeper into their learning and connection to the natural world, and offers multiple opportunities for students to make careful discoveries which can help them with scientific writing, sketching, and poetry writing. It will empower students to make connections to what they are seeing and their natural inquiry and curiosity will spark engagement and interest in other areas of their days. The 3D Printing grant will support a pilot of two 3D printers, they are starting off in the 3rd grades and will be moving to other grades. The focus of the project will be to use the printers to help students have hands-on experiences with design thinking and the spatial concepts of size, volume, and dimensions of 3D shapes. Congratulations to all of the YEF grant award winners! Yarmouth Education Foundation has now awarded more than $250,000 in grants to our four schools! Congratulations to our fourth grade students as they move down the street and begin their middle school careers. It is always bittersweet to say goodbye to a grade as the move onward and upward. We are so proud of their hard work and leadership this year. We are also confident that they are well prepared for success in middle school. Our school community will recognize them at our final Community Meeting of the year on June 14th. They will always be a special group to me as they are my first fourth grade class at YES! 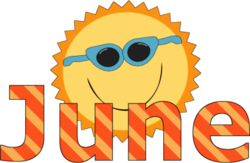 We wish all students and families a safe and enjoyable summer, and we will see you back for "Meet and Greets" in August. Our first day of the 2018-19 school year will be September 4th. Grade 2 Open House will be on <="" span="">, and Grades 3 & 4 Open House will be on Tuesday, Sept. 18th. Between now then hit the beach, have some ice cream, enjoy the Clam Festival and all the other joys a Maine summer has to offer. Have a great summer break!